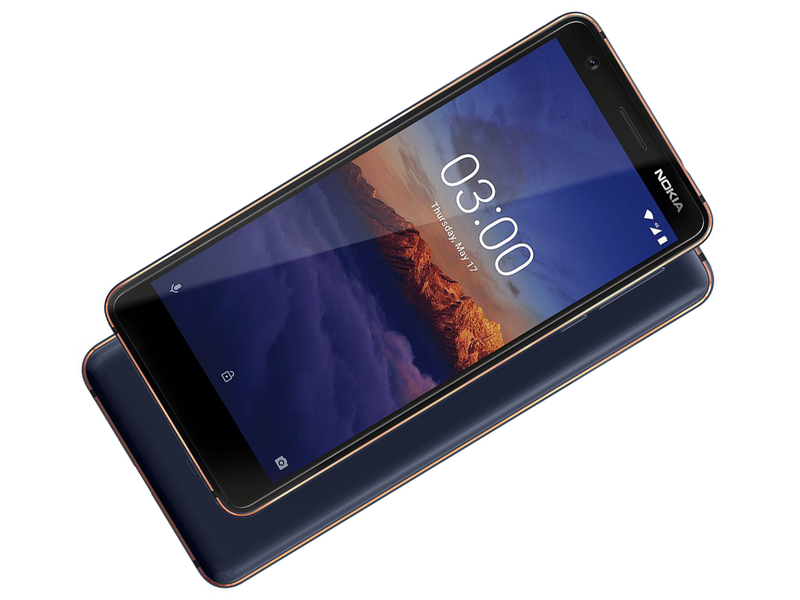 Round two for the Nokia 3, which has been revised in terms of both looks and internal hardware. For less than $160 you get a decently equipped Android One smartphone made by HMD Global. Find out what we think in our extensive review. Nokia 3.1 Review: Meeting Android One Expectations? Nostalgia for the brand aside, it is hard to recommend the Nokia 3.1 given its Php 9,990 price tag. Save for the Android One branding, there are other phones that offer a better spec sheet at roughly the same price. Speaking of Android One, Xiaomi’s Mi A2 Lite offers vastly superior specs compared to the Nokia 3.1 while having the same price. Heading into 2019, there’s minimal doubt that HMD Global can change our perception of a bargain. The Nokia 3.1 costs little, but it provides a whole lot. The Nokia 3.1 is priced at Php 9,990 and should be available nationwide. Even if is an Android One phone, the Nokia 3.1 will be facing a tough competition with the said price segment. We will be publishing a more comprehensive review in the coming days to see if this phone is worth considering. The Nokia 3.1 is available in the United States through Nokia dot com right this minute. They’ll redirect you to Best Buy, more than likely, where you’ll find the device appearing for approximately $160 USD right this minute. Have a peek, and let us know if you find it available in any fancy color combinations – right now it’s all about black. Positive: Low price; compact size; high mobility. Positive: Compact size; elegant design; impressive display; long battery life; good price. Negative: Average cameras. Positive: Pleasant design; solid workmanship; nice connectivity. Negative: High price. Positive: Elegant design; solid workmanship; nice display; good price. Mở hộp & đánh giá nhanh Nokia 3.1: Bản mới 2018 có gì hấp dẫn hơn? Positive: Good price; premium design; nice display; decent hardware. The Nokia 3.1 is a budget smartphone positioned between the Android-Go-equipped Nokia 2.1 and the mid-range Nokia 5.1. All the hallmarks of recent Nokia devices are present, including great build quality, a stock Android experience, and good specifications for the price. HMD Global had to make some cuts to reach the budget price point, e.g. dropping the fingerprint sensor, but the Nokia 3.1 is still a solid device. It is immediately appealing because of its hardware quality and size. The lightly grippy flat plastic back looks good, and the curved glass on the front running into the sides is classy. It really feels like a phone that is built to sell for twice the price. On the front is a 2.5D Gorilla Glass panel, with a 5.2-inch 720x1440 LCD screen underneath. The Nokia 3.1's 18:9 display gives the phone a size that is easy to handle, even though the larger-than-usual bezels make it taller than usual. The display itself is very good for a phone in this price range. The 1440x720 resolution is more than enough for this size, and the viewing angles and brightness are actually above expectations. The only two downsides are that it does not get particularly dim for late-night viewing, and there is no night mode. The Nokia 3.1's 13MP camera gets the job done with an incredibly simple interface. Like the Nokia 6.1, it is a bit slow to capture, but this is manageable, since it is a budget device. With HDR and a steady hand, the photos are colorful, but struggle with dynamic range and crispness in details; the only big issue was with slow focus speeds that sometimes took a few attempts to lock on a subject. The phone is powered by a MediaTek MT6750 processor with 2 GB of memory and 16 GB of internal storage. There is also a more expensive model with 3 GB of RAM and 32 GB of storage. Good performance is never a given with budget phones, but the Nokia 3.1 is decently fast: The phone only occasionally stuttered, usually while switching between applications. The stock Android build probably helps performance - there is no laggy OEM skin or pre-installed bloatware slowing things down. The simple software and relatively small display result in really good battery life, even though this is unexpected given the 2990mAh battery capacity. A user with medium usage will have absolutely no issues making it through a full day of use. Finally, the Nokia 3.1 has all the usual features found on budget Android devices. That includes a micro-SD card slot for expandable storage, a dual SIM tray for using two carriers at once, FM radio, and a headphone jack. MT6750N: ARM-based octa-core SoC (4x Cortex-A53 up to 1.5 GHz + 4x Cortex-A53 up to 1 GHz) with 64-Bit support and integrated LTE Cat. 6 radio. Compared to the MT6750, the MT6750N seems to offer a higher clocked graphics card.» Further information can be found in our Comparison of Mobile Processsors. 68.51%: This rating is bad. Most notebooks are better rated. This is not a recommendation for purchase.